When it comes to entertaining for the holidays, I include the grill every chance I get. It’s a no-brainer the main course is grilled, but I don’t stop there. I make sure the appetizers get a little “grate time,” too. My favorite types of appetizers have three requirements: they must be bite size, addictive, and grilled. Mix together 8 ounces of ground sausage and 8 ounces of cream cheese. 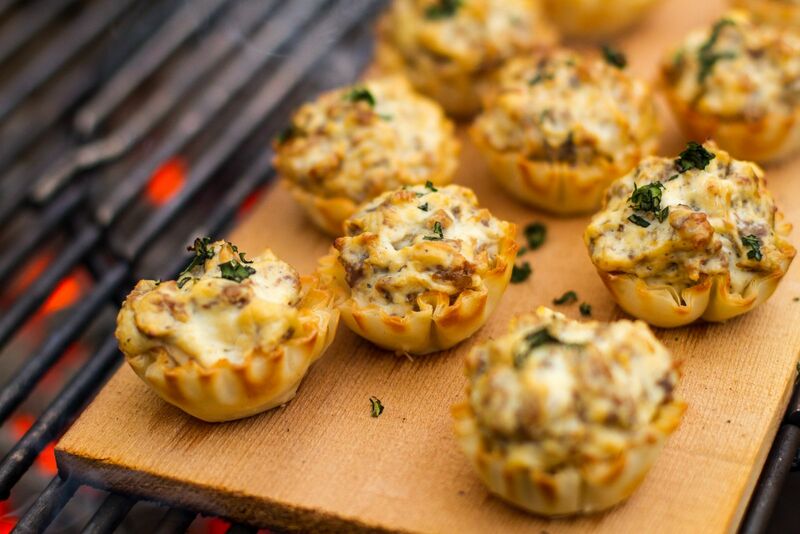 Spoon the sausage and cheese mixture into mini fillo shells and top with minced fresh basil. Place the shells on a soaked cedar plank and grill over direct medium heat for approximately 10-15 minutes. Mix together ½ pound of ground meat, ½ pound of ground sausage, ¼ cup of breadcrumbs, and season with salt, pepper, and granulated garlic. Cut a red pepper into 1 inch square planks. 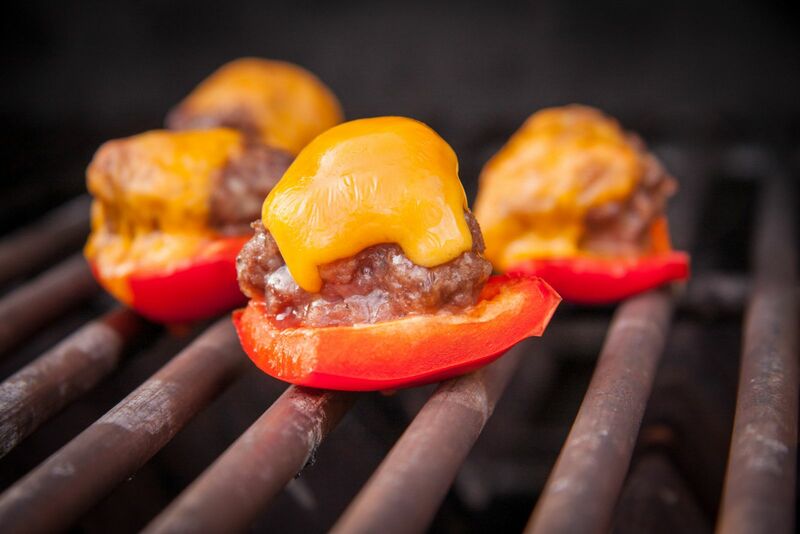 Top each square with a dollop of the meat mixture and then top the meat with a 1 inch square piece of sharp cheddar cheese. Grill indirect over medium heat for approximately 20 minutes.